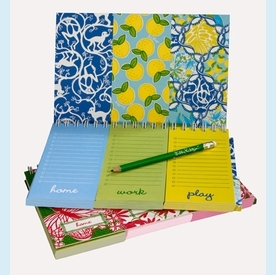 We all have split personalities, and now there's a note pad that fits your life perfectly! One, Two, Three Pad helps keep your home life, work life and play time organized. Fresh & Fruity Patch style is pad shown on top. NOTE: Only 4 left! SIZE DIMENSIONS: 4" x 2.75"